Looking for a tropical flavor, perfect balance of a hawaiian cocktail, pineapple, coconut, tropical fruits ? Do not search anymore! Looking for a tropical vape ? The perfect balance of a Hawaiian cocktail, a mix of pineapple, coconut, exotic fruits ? Do not search anymore ! You just found subtlety and freshness ! To discover urgently if you want a liquid to the height of your desires to escape ! How to dose this cocktail flavoring ? What is the steeping time to make a fruit tropical e-liquid ? Is this Mom and Pop flavoring only for e-cigs? 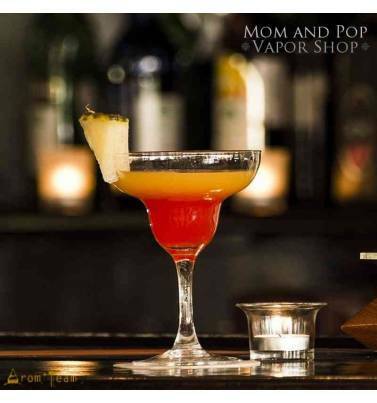 The Mom-and-Pop company is a small family business based in the USA which, thanks to the originality and the precision of the flavors and concentrates for electronic cigarette proposed succeeded in making itself known all over the world.
" Our juices are all made in the USA, Virginia, to be more specific. The ingredients are : Propylene Glycol (PG), Vegetable Glycerine (VG), natural and artificial flavoring. We took our time to define each recipe so that we could promote each flavor's individual strengths and weaknesses. We are aware of the concerns faced with diacetyl. We do not have any flavors containing diacetyl. " 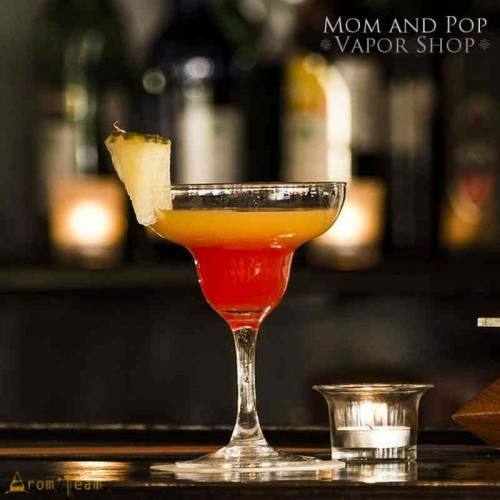 The Mom&Pop tobacco range, which is essentially composed of extracts and absolute tobacco, is one of the best tobacco concentrates available on the market, making it possible to create very realistic and sharp e liquids. Mom and Pop's gourmet flavors are also impressively realistic when it comes to achieving pure gluttony. Thanks to the community's appreciation, we can deliver you a top 10 of the most popular Mom and Pop concentrated flavors. - Calipitter Chow: the ultimate in gluttony ! - Strawberry Cheesecake: a torture of happiness ! - Ry0 Tobacco: for those who seek a tobacco flavor as rough as cigarette ! - Pchela's Poison: for sure, a real poison you can not leave !